You are here: Home » News » News & Updates » Will We Ever Live In The Homes Of The Future? Will We Ever Live In The Homes Of The Future? Every generation has had some idea of what the home of the future will look like. In the 50s, the idea was a home made entirely of plastic and containing appliances such as microwaves. In the 60s and 70s, the home featured technology such as videophones, flat screen TVs and the centralised control of appliances. Today, the common features of the home of the future are things like smart homes that maintain themselves, robot housekeepers and even wardrobes that clean and iron clothes. The home of the future represents a technological ideal that many would want to live in, but do the homes of the future ever come into existence or are they always just out of our grasp? In this blog post we&apos;ll be looking at whether you will eventually get your robot butler, or whether you&apos;ll just have to settle for science-fiction. A good way to start answering this question is to look at how well the future houses of the past represented actual homes. 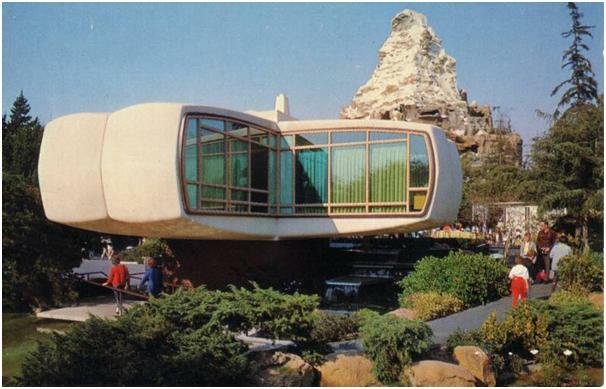 When the Monsanto House of the Future first opened in Disneyland in 1957, it was intended to represent what houses would be like in the 80s. Some key features of the house were light dimmers, an ultrasonic dishwasher and every material being plastic. Light dimmers were available long before the 80s, and plastic was of course a very popular material, but a house being made entirely of the material is not a common occurrence even now, and ultrasonic dishwashers are still only a concept. The Monsanto House of the Future was updated in the 80s to represent the 2010s, and contained gadgets such as home intercoms and voice controls, but again was not an accurate prediction. We now know that the evolution of technology is not something that is easy to predict, and foretelling with complete accuracy what a whole house will look like in 10 years is virtually impossible. This is why the homes of the future that we think about today are usually just one or two years ahead, making them far more accurate than 50s and 60s homes of the future. When we think of future homes, we think of technologies that are currently being developed, such as centralised control, voice activation and self-cleaning appliances, which we know will probably be around in a year or two. So it seems that predicting what a home will look like in the future is a very difficult task. Hard to predict factors such as politics, the economy, and design trends all contribute to what the future will look like. Even if you could guess exactly what a house will look like in the future, whose house is being predicted? A regular family or a person exceptionally wealthy enough to afford all the gadgets? So even if the house is predicted accurately, unfortunately it probably won&apos;t be the house you are living in. Here at European Springs, we&apos;re passionate about technology both in the future and the present. That&apos;s how we&apos;ve become one of the leading providers of quality products for all areas of industry and one of the best compression spring manufacturers in Europe. If you would like more information about any of our products, contact us today on 0208 663 1800 and a member of our team will be happy to help.